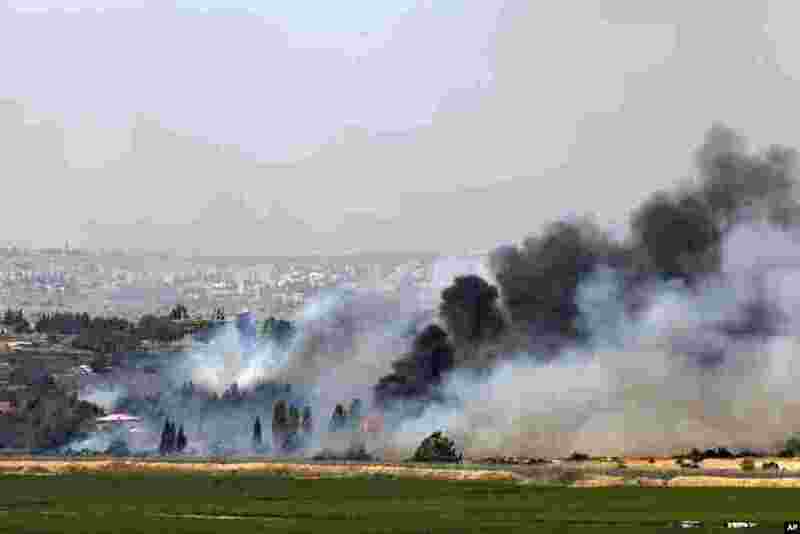 1 Smoke rises from a fire as a result of fighting in the the Syrian village of Quneitra near the border with Israel, as seen from an observatory near the Quneitra crossing, June 6, 2013. 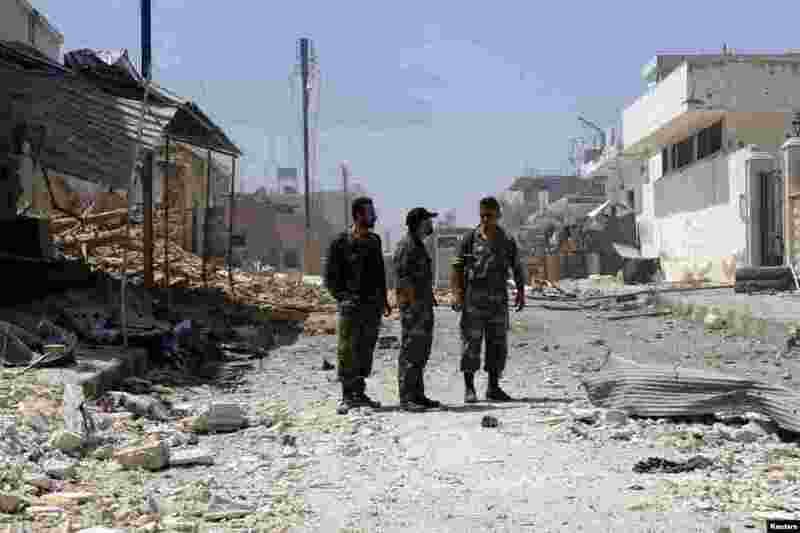 2 Soldiers loyal to Syrian President Bashar al-Assad stand on a damaged street full of debris in Qusair, June 6, 2013. 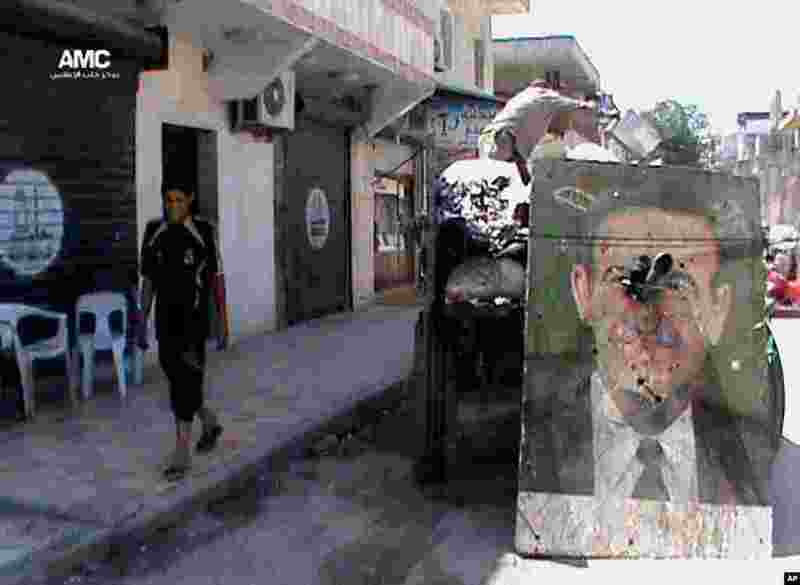 3 This citizen journalism image provided by Aleppo Media Center AMC shows a poster of late Syrian President Hafez Assad on a garbage truck, in Aleppo, Syria, June 6, 2013. 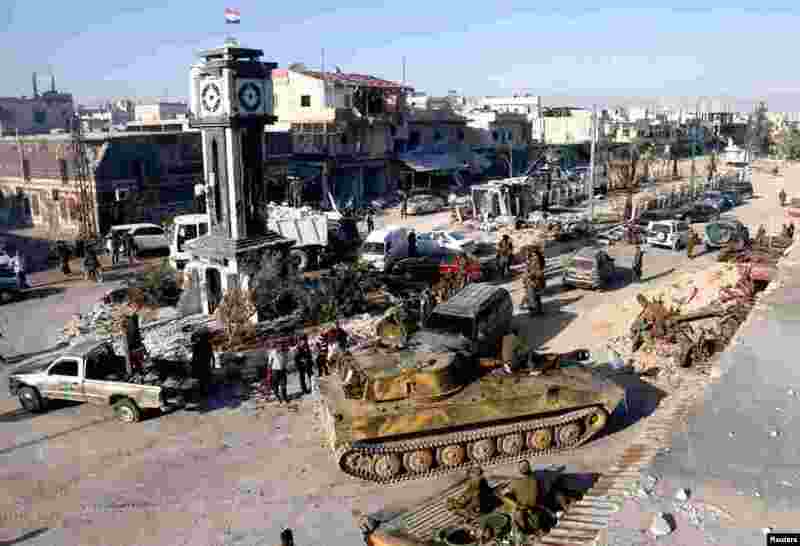 4 Pro-government fighters and tanks in Qusair, after the Syrian army took control of the city from rebel fighters, June 5, 2013.